The project uses tech developed by erasAR technology. The Korean “Ministry of Unification“. The blue icon of the united Korea is not exclusive to this project and is also used by other groups. 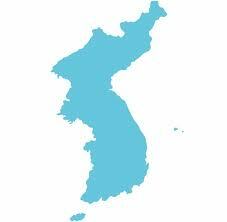 It was chosen for the larger idea of Korean unification which it represents.